Richmond is a unique island city, favourably located within Metro Vancouver in close proximity to downtown Vancouver and the U.S. border. It is comprised of a series of islands nested in the mouth of the Fraser River with the coastal mountain range as a backdrop. The islands include Sea Island, most of Lulu Island, and fifteen smaller islands. It's quick, easy and helpful. 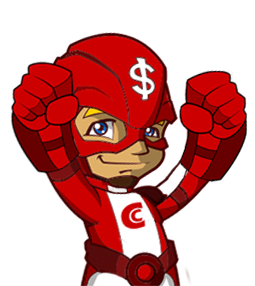 With CaptainCash.ca, you won't get caught un in that endless reborrowing cycle. The customer care is honest helpful and i had my money fast to cover my unexpected expenses. Thanks you Captain! Richmond has been experiencing growth and change with remarkable speed! Richmond is a unique island city, favourably located within Metro Vancouver in close proximity to downtown Vancouver and the U.S. border. Attention, Richmond residents: you may be eligible for up to $500 in cash! Does this sound like one of those too-good-to-be-true letters waiting in your mailbox from time to time? Well, it’s not. 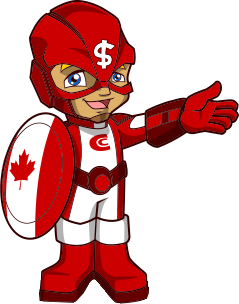 Captain Cash is here with cash loans in Richmond for whatever your financial needs may be.If you’re a Canadian citizen who’s at least 18 years old, you’re already halfway to being a qualified borrower. In the event you’re currently employed, have spent three months at your present job and bring home $1,200 per month or more, you’re even closer to the finish line. How Can I Claim My Cash? Ladies and gentlemen, step right up to our “Claim Your Cash” button to get the ball rolling on your cash loan in Richmond. All you have to do is fill in the form we’ve provided or call one of our representatives who’ll go through the steps with you. It’s a quick, simple solution to the often complicated monetary challenges we face from time to time. Am I Really in the Running? Yes, absolutely! We touched upon some of our prerequisites above, and if those apply to you, you’re well on your way. We do, however, have a few additional qualification requirements. You need to have an active Canada-based bank account. Your income needs to come to you via cheques from your employer or be directly deposited into said account. There must be few or no insufficient funds incidents connected to your bank account. You must have a valid phone number listed in your own name. You can’t have a recent bankruptcy on your record. Do all those apply to you? If so, you’re most likely eligible for the grand prize: a $500 cash loan in Richmond to be paid back according to our simple and affordable terms. What Else Do I Need in Order to Qualify? Once you’ve submitted your application, we’ll need a few documents to help us confirm your identity, employment, income and bank account. One of our representatives will speak with you in greater detail about this after you apply. We give you the option of sending us pictures or screenshots of your documentation by phone; alternatively, you could email, fax or scan them to us. The choice is yours, and you don’t even need to be present to qualify. According to our polls, a number of people use their cash loans in Richmond for shopping. One of the most popular spending hotspots in the area is the Richmond Night Market. Considering all the fun games, great vendors and endless culinary delights available, it’s an amazing place to spend your time and money.Obviously, it’s not the only option. With the incredible blend of privately owned shops and national and international chains to choose from, the local options alone are monumental. Since the internet brings the entire retail realm to our fingertips these days, the possibilities are endless. Travel is also a top spending contender among Richmond locals. One of the most highly sought-after sites in the vicinity is the Gulf of Georgia Cannery. This National Historic Site situated in Steveston village has been part of the community’s heritage since 1894 and is brimming with highlights of our local convention of salmon canning.Other area attractions include the International Buddhist Temple modeled after the Forbidden City of Beijing origin. Throughout the Golden Village, you’ll find an array of Asian-themed sights, sounds and tastes. At the same time, the Steveston Interurban Tram gives you a glimpse of public transportation in days long past. From delving into our local history to propelling your family into the city’s future, your cash loan in Richmond can be used for anything you see fit. 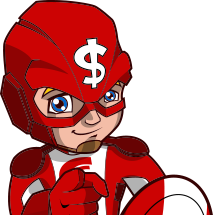 Just call or stay right here on the Captain Cash website, and let us connect you to your awaiting funds. Is a Cash Loan the Right Solution for Me? Having said all that, cash loans aren’t suitable for everyone. If your income regularly falls short of expenses, you may need a more long-term solution like debt counseling or consolidation. Those who know beforehand their monetary needs will exceed $500 will also fare better by seeking other alternatives.Should you, for any reason, foresee being unable to repay a cash loan in Richmond, you may want to consider other options. With higher interest rates than traditional loans and potentially steep costs associated with late payments, failure to repay emergency loans like these could lead to deeper debt in the long run. 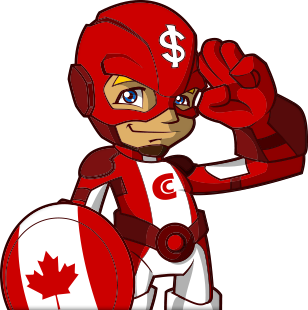 The Captain Cash team has a long history of helping Canadian citizens just like you get the immediate funds they need. Applicants who meet our prerequisites are already winners, and the grand prize is $500 to be deposited in their bank accounts in a matter of hours. As an added bonus, it can be used as needed no matter what the purpose may be. If you feel like a cash loan in Richmond is the answer to your current financial woes, don’t hesitate to call us at 1 (888) 226-1026 or fill out our simple application. We do loan in Richmond and much more. Whenever you are in Vancouver, Prince George, Kelowna, Burnaby... do not hesitate to claim your cash today!